WHITTIER — The Gardena Nisei Memorial VFW Post 1961 will hold its annual Memorial Day service honoring all deceased post members who served in defense of our country on foreign soil. 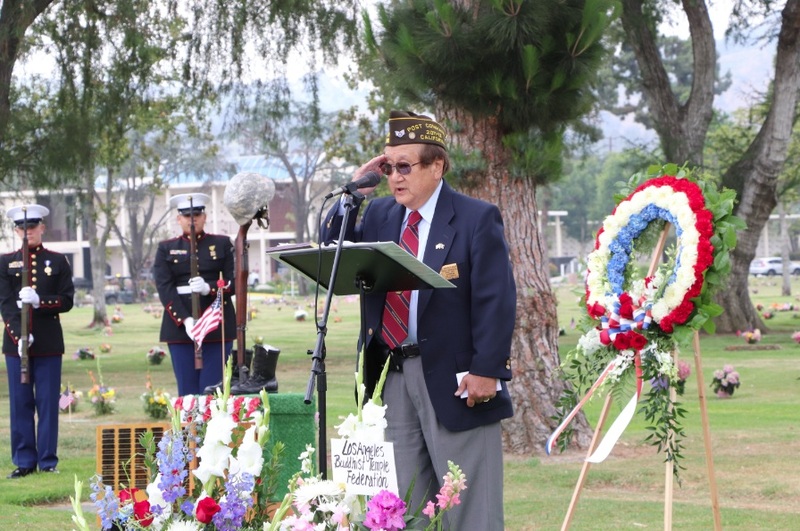 The service will be held on Monday, May 28, at 9 a.m. at Rose Hills Memorial Park Mortuary, 3888 Workman Mill Rd., Gate 10, Whittier. Phone: (562) 699-0921. A Memorial Day reading will be conducted by Army JROTC cadets. Bernard Cain will provide “Taps.” Family and friends of fallen comrades can offer floral tributes in remembrance of their loved ones. Rev. Nobuko Miyoshi of Higashi Honganji Buddhist Temple in L.A. will deliver the invocation, benediction, and floral tribute. Also participating will be the Redondo Beach Union High School Marine Corps JROTC Honor Guard and Rifle Squad.